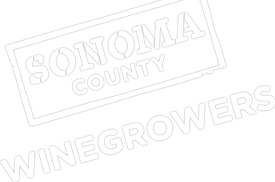 SCW Commisson Board member and Sonoma County grower Steve Sangiacomo of Sangiacomo Family Vineyards sat down with Sonoma Index-Tribune to discuss the efforts being made by growers to manage and conserve water use in our region. Water management and conservation isn’t taken lightly as the Sangiacomo family explains, it is a part of the viticulture process and traditinal vineyard management. Local grape growers, especially those with a sustainability focus, haven’t just started paying attention to water use, says Steve Sangiacomo, one of two third-generation brothers (and a sister, Mia Pucci) running Sangiacomo Family Vineyards south of Sonoma.